Sometimes you just don’t know someone until you get a look inside their storage unit. In most instances, people rent them to store extra furniture for an impending move or as a way to declutter their home. There are lots of storage unit businesses across the U.S. Companies such as Uncle Bob’s provides storage units in over 25 states. And with all those units come some strange and interesting stuff. According to ABC News, a San Jose man found a gold (and silver) mine after bidding in an auction for an abandoned storage unit. The man apparently spent $1,100 on the unit and found a number of rare coins and a few bars of gold and silver inside a Rubbermaid container. Stolen artwork, jewelry, guns, comic books, vintage violins and baseball cards have all been found a time or two in unsuspecting storage units. According to KATU in Portland, Oregon, police found four storage units in eastern Multnomah County full of stolen items. Thankfully, authorities were able to track some of the people down who owned the items, which were rightfully returned. The LAPD reported that $13 million worth of original oil paintings by Picasso and Monet were found in a Cleveland, Ohio storage unit five years after being reported stolen from a Los Angeles home. A Muskegon, Mich. man got much more than he bargained for when he bought the contents of a storage unit — a live hand grenade. The Muskegon Chronicle reported that the man found the grenade inside a handgun case and immediately took it to the local fire department. A bomb squad later disposed of the grenade. 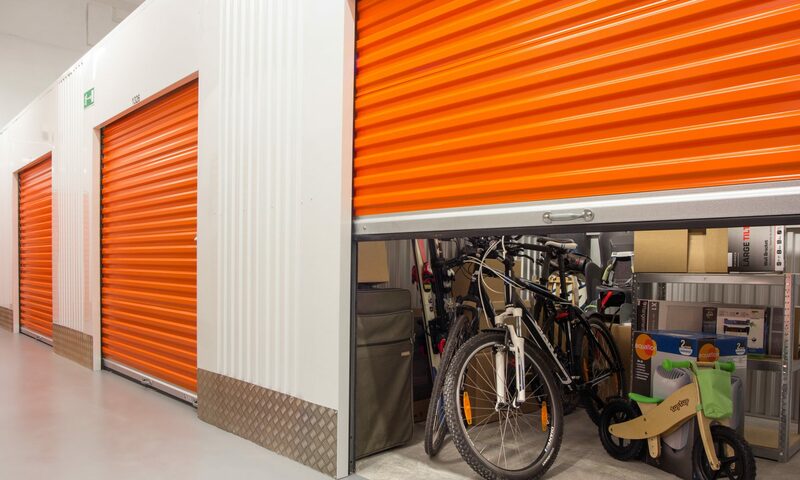 Haven’t considered a storage unit as a final resting place? A family in Florida apparently held their grandmother’s corpse in a rented storage unit for approximately 17 years, according to Tampa Bay Online. The woman’s body had been stored since 1995 and was resting in a blue casket, which was prepared for burial all those years ago. Gowns, dresses, handbags, hats and shoes worn by the Queen of Soul Aretha Franklin were found in an abandoned storage unit in Michigan. According to myfoxdetroit.com, matching receipts found in the unit proved the items found were in fact, hers. She allegedly transported her clothing to the storage unit after a house fire. Over 250 original songs by the King of Pop Michael Jackson were found in a storage unit belonging to his father, Joe Jackson. According to imperfectwomen.com the songs were recorded while Michael was between contracts, some of which featured Tina Turner. No record company had legal rights to the songs so they are worth millions of dollars. Robert Dewey Hoskins, who was convicted of stalking Madonna, was captured in Feb. 2012 after escaping a mental hospital in Norwalk, Calif. Hoskins fell behind in his storage unit rent and his possessions were available for all to see. Included in his storage unit was an assortment of knives, a photo of himself shirtless displaying his Madonna tattoo on his stomach, a headless doll and handwritten rantings, according to CBS Los Angeles. Pete is a freelance writer who lives in Virginia.